G.R. No. 140665 November 13, 2000 - VICTOR TING "SENG DEE", ET AL. v. COURT OF APPEALS, ET AL. G.R. No. 126223 November 15, 2000 - PHI. AMERICAN LIFE INSURANCE COMPANY v. COURT OF APPEALS, ET AL. G.R. No. 131127 November 15, 2000 - ALFONSO T. YUCHENGCO v. REPUBLIC OF THE PHIL., ET AL. G.R. No. 132671 November 15, 2000 - PEOPLE OF THE PHIL. v. CRISANTO BAULA, ET AL. G.R. No. 134406 November 15, 2000 - PHIL. NATIONAL BANK v. FRANCISCO RABAT, ET AL. G.R. Nos. 135413-15 November 15, 2000 - PEOPLE OF THE PHIL. v. AMER MOYONG, ET AL. G.R. No. 137122 November 15, 2000 - MANILA MEMORIAL PARK CEMETERY v. COURT OF APPEALS, ET AL. G.R. No. 137915 November 15, 2000 - NARRA INTEGRATED CORP. v. COURT OF APPEALS, ET AL. G.R. Nos. 139141-42 November 15, 2000 - MAMBURAO v. OFFICE OF THE OMBUDSMAN, ET AL. G.R. No. 139283 November 15, 2000 - ALLEN LEROY HAMILTON v. DAVID LEVY, ET AL. G.R. No. 140274 November 15, 2000 - WILLIAM T. TOH v. COURT OF APPEALS, ET AL. G.R. No. 95533 November 20, 2000 - REPUBLIC OF THE PHIL. v. COURT OF APPEALS, ET AL. G.R. Nos. 97472-73 November 20, 2000 - PEOPLE OF THE PHIL. v. VICENTE PACAÑA, ET AL. G.R. No. 109338 November 20, 2000 - CAMARINES NORTE ELECTRIC COOPERATIVE v. COURT OF APPEALS, ET AL. G.R. No. 112172 November 20, 2000 - PUBLIC ESTATES AUTHORITY, ET AL. v. COURT OF APPEALS, ET AL. G.R. Nos. 115747 & 116658 November 20, 2000 - REPUBLIC OF THE PHIL. v. COURT OF APPEALS, ET AL. G.R. No. 119991 November 20, 2000 - OLIMPIA DIANCIN v. COURT OF APPEALS, ET AL. G.R. No. 122950 November 20, 2000 - ESTATE OF THE LATE MENA BOLANOS v. COURT OF APPEALS, ET AL. G.R. No. 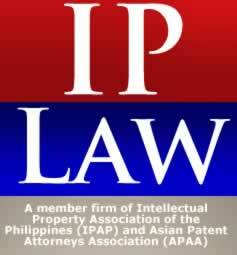 125497 November 20, 2000 - UNICANE FOOD PRODUCTS MANUFACTURING v. COURT OF APPEALS, ET AL. G.R. No. 128819 November 20, 2000 - PEOPLE OF THE PHIL. v. EDDISON CASTURIA, ET AL. G.R. No. 134992 November 20, 2000 - PEPITO S. PUA v. COURT OF APPEALS, ET AL. G.R. No. 135294 November 20, 2000 - ANDRES S. SAJUL v. SANDIGANBAYAN, ET AL. G.R. No. 141975 November 20, 2000 - REPUBLIC OF THE PHIL. v. ATLAS FARMS, ET AL. G.R. Nos. 116124-25 November 22, 2000 - BIBIANO O. REYNOSO v. COURT OF APPEALS, ET AL. G.R. No. 119281 November 22, 2000 - VETERANS FEDERATION OF THE PHIL. v. COURT OF APPEALS, ET AL. G.R. No. 121769 November 22, 2000 - PEOPLE OF THE PHIL. v. DANDY ALVAREZ, ET AL. G.R. No. 136857 November 22, 2000 - BARTIMEO VELASQUEZ, ET AL. v. COURT OF APPEALS, ET AL. G.R. No. 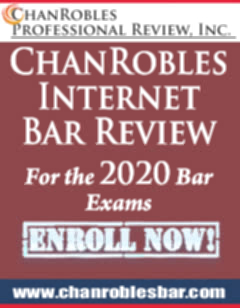 137908 November 22, 2000 - RAMON D. OCHO v. BERNARDINO, ET AL. G.R. No. 138296 November 22, 2000 - VIRON TRANSPORTATION CO. v. ALBERTO DELOS SANTOS, ET AL. G.R. No. 138735 November 22, 2000 - PEOPLE OF THE PHIL. v. JOSEFINO LEODONES, ET AL. G.R. No. 139792 November 22, 2000 - ANTONIO P. SANTOS v. COURT OF APPEALS, ET AL. G.R. Nos. 139927 and 139936 November 22, 2000 - SALVADOR BIGLANG-AWA, ET AL. v. MARCIANO I. BACALLA, ET AL. G.R. No. 140162 November 22, 2000 - AYALA LAND v. MORRIS CARPO, ET AL. G.R. No. 113006 November 23, 2000 - ONG CHIU KWAN v. COURT OF APPEALS, ET AL. G.R. No. 124371 November 23, 2000 - PAULA T. LLORENTE v. COURT OF APPEALS, ET AL. G.R. No. 126640 November 23, 2000 - MARCELO B. ARENAS, ET AL v. COURT OF APPEALS, ET AL. G.R. No. 129896 November 23, 2000 - PEOPLE OF THE PHIL. v. JESUS MADRID, ET AL. G.R. No. 132123 November 23, 2000 - PEOPLE OF THE PHIL. v. NOMER DELOS SANTOS, ET AL. G.R. No. 135331 November 23, 2000 - PEOPLE OF THE PHIL. v. JOEMAR PALEC, ET AL. G.R. No. 136233 November 23, 2000 - SY CHIN, ET AL. v. COURT OF APPEALS, ET AL. G.R. No. 136421 November 23, 2000 - JOSE and ANITA LEE v. COURT OF APPEALS, Et AL. G.R. No. 137035 November 23, 2000 - PEOPLE OF THE PHIL. v. GALING ESMANA, ET AL. A.M. No. MTJ-96-1075 November 27, 2000 - PILAR VDA. DELA PEÑA v. TIBURCIO V. EMPAYNADO, JR. A.M. No. P-98-1270 November 27, 2000 - ANTONIO ABANIL v. ABEL FRANCISCO B. RAMOS, JR. A.M. No. RTJ-98-1427 November 27, 2000. G.R. No. 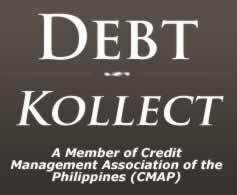 114942 November 27, 2000 - MAUNLAD SAVINGS & LOAN ASSOCIATION v. COURT OF APPEALS, ET AL. G.R. No. 115997 November 27, 2000 - SECURITY BANK & TRUST COMPANY v. COURT OF APPEALS, ET AL. G.R. No. 119747 November 27, 2000 - EXPECTACION DECLARO, ET AL. v. COURT OF APPEALS, ET AL. G.R. No. 121104 November 27, 2000 - GERARDO PAHIMUTANG, ET AL. v. COURT OF APPEALS, ET AL. G.R. No. 122113 November 27, 2000 - PEOPLE OF THE PHIL. v. WILSON HERNANI, ET AL. G.R. No. 127406 November 27, 2000 - OFELIA P. TY v. COURT OF APPEALS, ET AL. G.R. No. 130845 November 27, 2000 - BRYAN U. VILLANUEVA v. TIRSO D.C. VELASCO, ET AL. G.R. No. 139006 November 27, 2000 - REMIGIO S. ONG v. PEOPLE OF THE PHIL., ET AL. G.R. No. 139495 November 27, 2000 - MACTAN-CEBU INTERNATIONAL AIRPORT AUTHORITY (MCIAA) v. COURT OF APPEALS, ET AL. G.R. No. 140894 November 27, 2000 - ROSARIO YAMBAO, ET AL. v. COURT OF APPEALS, ET AL. G.R. No. 143789 November 27, 2000 - SYSTEMS FACTORS CORPORATION v. NLRC, ET AL. A.M. No. RTJ-00-1531 November 28, 2000 - REYNALDO MAGAT v. GREGORIO G. PIMENTEL, ET AL. G.R. No. 129252 November 28, 2000 - PEOPLE OF THE PHIL. v. FRANCISCO CABER, SR.
G.R. No. 132330 November 28, 2000 - PEOPLE OF THE PHIL. v. JOSE BANGCADO, ET AL. G.R. No. 109557 November 29, 2000 - JOSE UY, ET AL. v. COURT OF APPEALS, ET AL. G.R. No. 116239 November 29, 2000 - PEOPLE OF THE PHIL. v. ELPIDIO MERCADO, ET AL. G.R. No. 118475 November 29, 2000 - ELVIRA ABASOLO, ET AL. v. NLRC, ET AL. G.R. No. 125935 November 29, 2000 - CARMELITA P. BASILIO, ET AL. v. COURT OF APPEALS, ET AL. G.R. No. 126746 November 29, 2000 - ARTHUR TE v. COURT OF APPEALS, ET AL. G.R. No. 132977 November 29, 2000 - LUIS MONDIA, JR., ET AL. v. EDGARDO G. CANTON, ET AL. G.R. No. 133787 November 29, 2000 - PEOPLE OF THE PHIL. v. AURELIO BIRAYON, ET AL. G.R. No. 134606 November 29, 2000 - PEOPLE OF THE PHIL. v. FREDDIE ABILLAR, ET AL. G.R. Nos. 138298 & 138982 November 29, 2000 - RAOUL B. DEL MAR v. PAGCOR, ET AL. G.R. No. 141013 November 29, 2000 - PACIFIC MILLS, ET AL. v. MANUEL S. PADOLINA, ET AL. G.R. No. 142021 November 29, 2000 - TEODORA BUENAFLOR, ET AL. v. COURT OF APPEALS, ET AL. G.R. No. 142907 November 29, 2000 - JOSE EMMANUEL L. CARLOS v. ADORACION G. ANGELES, ET. AL.